Common signs include the key not going in, lock not turning or feeling stiff, and no resistance when turning the key. Your trunk comes in handy for all kinds of things, whether you're filling it with groceries, sporting equipment, or packing for a weekend away. You likely use the trunk on a pretty regular basis. In addition to locking/unlocking the trunk, on many vehicles, the trunk lock mechanism may also engage the “master” or “all-doors” power lock or unlock function on some vehicles. As a consequence, the trunk lock mechanism is a significant security component. The trunk lock is composed of a lock cylinder, and a latching mechanism. Note: For this automotive component discussion, “trunk lock cylinder” also includes “hatch” lock cylinder for hatchback vehicles, and “tailgate” lock cylinder for station wagons and SUVs so equipped. Parts and service items for each are so designated. The trunk lock cylinder serves as both the security component of the system, as well as the actuator for the trunk latching mechanism, which may be mechanical, electrical, or vacuum operated. The key must, of course, match the lock cylinder internally for integrity of the locking function and the lock cylinder must also be free of dirt, ice and corrosion in order to function properly. 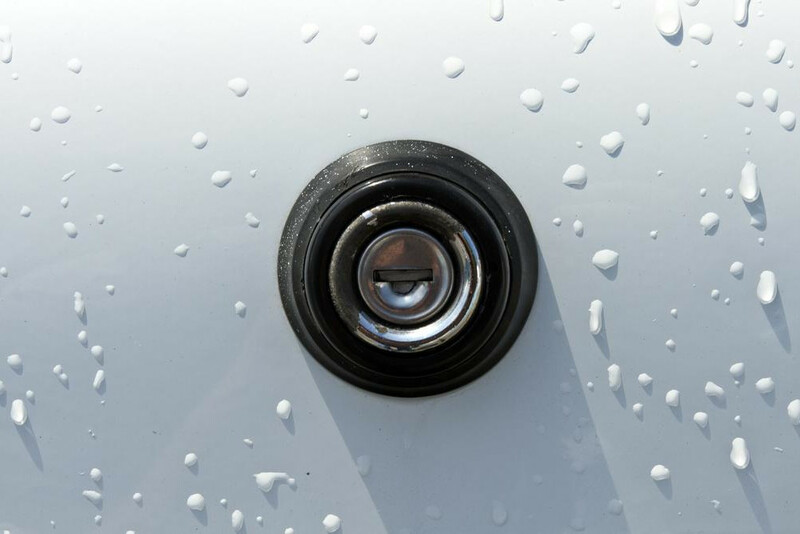 The trunk lock cylinder ensures that you’re able to lock items in your trunk or cargo compartment and secure your vehicle and its contents so they are safe and secure. The lock cylinder can become damaged, which means replacement of the part is necessary. Sometimes dirt or other road grit can accumulate in the trunk lock cylinder. Vehicle aerodynamics aggravate this problem in virtually all vehicles, pulling up road grit and moisture. Also, in northern climates, ice can form in the lock cylinder during the winter season, freezing the lock solid. Lock de-icer is a common solution for icing; usually available as a spray, with a small plastic tube which is inserted in the key opening. Lubricating the lock as described in the next paragraph MAY also resolve the problem. Otherwise, having a professional mechanic check out the lock or replace the lock cylinder is recommended. Over time, dirt, road grit or corrosion can accumulate in the lock cylinder. The internals of the lock cylinder include many small, high-precision parts. Dirt, grit and corrosion can easily create enough friction to cause resistance turning the key while inserted in the lock cylinder. This can often be corrected by spraying a so-called “dry” lubricant (Teflon™, silicon or graphite are common choices) into the lock cylinder to both flush dirt and grit and lubricate the lock cylinder internals. Turn the key several times in both directions after spraying to help distribute the lubricant to all parts. Avoid the use of “wet” lubricants – although they may free up the lock cylinder components, they will retain dirt and grit that enters the lock, causing future problems. YourMechanic can take care of this with a lock cylinder inspection. In this case, it is almost certain that the internals of the lock cylinder have failed, or the mechanical linkage between the lock cylinder and the trunk latching mechanism has failed. This scenario requires a professional mechanic who will investigate the problem. Q: How do I use the remote keyless entry (RKE) system to unlock or lock my car? Q: How do I turn on the third row cargo light?